I’ve worked with small and mid-sized businesses on various marketing initiatives, in a range of industries, and in a range of roles for the last decade. There are a few fundamental lessons I have learned about what works and what doesn’t along the way. The truly important lessons that I’ve learned aren’t industry or role specific; they are universal. They aren’t tips or tricks; they are guiding principles, ideas, and thought-processes. They aren’t difficult to understand, but they can be challenging to implement and even harder to see through. One example of these guiding principles is that in marketing, unlike nature, every action does not necessarily generate an equal and opposite reaction. It can be easy, even tempting to try and think of marketing as transactional. For example, if I spend X dollars this month it should buy me X new leads. Return on investment is important, but it’s rarely as simple as that. More often than not, a lead is generated from a complex set of factors aligning over a series of interactions that, at some point, included spending capital on directly marketing or advertising to a target audience member. Your advertising spend for any single month doesn’t accurately encompass the investment you’ve made in acquiring the leads you received that month. I can tell you from experience, that you can see success in fits and spurts by constantly chasing the next lead generation tip or trick, but if you want to see sustained and predictable results you must take a holistic, long-term, and enduring approach to your marketing. In short, you should be running a marathon, not a sprint. Admittedly, it can be dangerous territory when a web designer and digital marketer (a.k.a. a nerd) tries to make a sports analogy, but I think this is a simple enough analogy not to incur the wrath of sports fans everywhere. 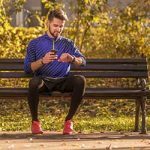 In my experience, there are three general types of business owners when it comes to their approach to marketing – the bench warmer, the sprinter, and the marathoner. The bench warmer has quite simply never made it past the starting line with their marketing. Business owners fall into this category when they do the bare minimum required. They often distrust marketing and rely solely on referrals or their own savvy as sales men and women to keep the doors open. Quite often these business owners are satisfied with the current scale of their business and aren’t necessarily interested in growth and therefore keep their marketing sidelined, only investing small amounts on an as needed basis to cover the basics. If you regularly spend little to no money on marketing efforts, you might be a bench warmer. Working with a marketing sprinter can be a rollercoaster ride. One month you are killing it, and the leads were flowing like water, but the next month a drought sets in. Rinse and repeat. The underlying problem is that marketing can be counterintuitive. You might look at what you did last month because last month was a great month, and say “let’s do that again.” The problem is, that last month was good because of what you did four months ago, and when you replicate last month, you don’t get consistent results… so you sprint to the next idea. Sprinters may find themselves dumping cash into a new marketing service only to cancel it a few months later because they didn’t see the results that they wanted. If it takes more than one hand to count the number of marketing and advertising companies and services that you’ve hired and fired in the last year or so, you might be a sprinter. The marathoner is usually a former sprinter who has shifted their approach and turned their attention to the bigger picture. They focus on the long-term, breaking yearly goals into quarterly and monthly goals and spreading their investments across a larger marketing mix. The marathoner understands that, in the long game, little changes can have big results for long term success and they focus on details, consistency, and small gains. Investing in aspects of your marketing that are not necessarily going to generate leads in the short-term like branding, content marketing, and search engine optimization will make your business lead generation campaigns more successful, consistent, and cost-effective in the future. If you care more about trend lines than the daily numbers, you might be a marathoner. How long should your marketing tactics take to show results? I’d also venture to guess that, depending on who you were talking to, you’ve probably gotten a range of answers, and possibly for the same services. That’s one of the reasons that I always recommend that companies explore marketing tactics on a yearly basis, and as a part of a larger integrated marketing strategy. Doing this ensure’s that you’re not dependent in the short term on a new marketing tactic. The truth is, though, that how quickly you can and will see results will depend on the marketing tactic, your investment, and the skill with which you execute it. Often overlooked as a marketing tactics, it’s important to take a moment a discuss the importance of branding and design. Part of playing the long-game in marketing means investing up-front in quality branding and design. Quality branding and design will lend credibility to your company and make future marketing efforts more effective, giving you an increase on your ROI in the future. Instead of spending a bunch of time spouting off facts about this, let me pose a hypothetical. Who do you call? My guess is that you’d call the company that appears to have been successful enough to invest in their branding. You may not have gone through that thought process in your head, but your natural bias pulls you in that direction, and the same is true of your potential customers. If you asked fifteen social media marketing experts how long social media marketing will take to generate real results, you’d probably get fifteen “the more you put into it, the more you will get out of it” style answers. So, if you commit to a year of consistent social media marketing, you should realistically be able to expect to see some results. If, however, you commit for only a few months, you’ll probably not see much return. Given the nature of pay per click advertising, it can be a little more straight forward. That is not to say that it is not complicated, just that it can be easier to identify the returns on your investment.. I can’t tell you the number of business owners I have seen decide to try PPC in Houston, only to spend $500 a month for two months without seeing good results and decide that Google Ads is not a good fit for them. To be honest, there are too many things wrong with this approach to go into great detail in this article, so I will just say if you are going to try Google Ads, give yourself a chance to be successful by speaking with an expert before spending your hard earned money on it. If executed properly, it is possible to begin to see results from Google Ads in mere months, but to fire on all cylinders will generally take anywhere from 6 months to a year, and require constant tweaking in perpetuity. 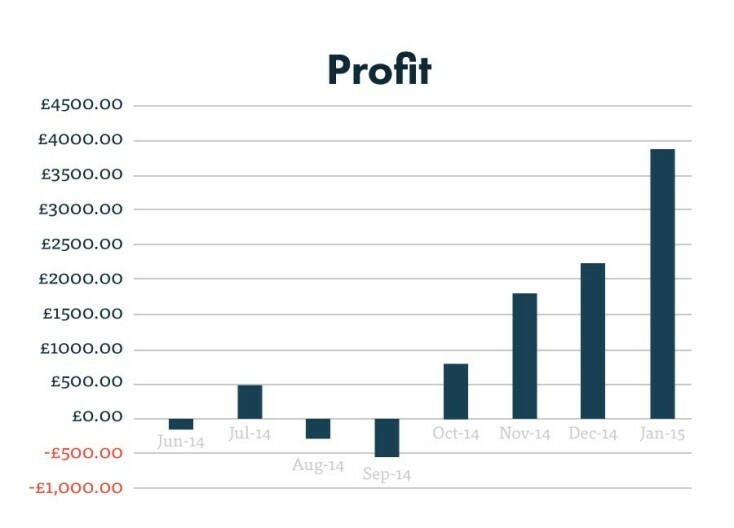 Even a successful PPC campaign like this lost money for the first four months before turning around and becoming profitable. Whether starting off with PPC for the first time, or revamping a long running program, it’s important to have realistic expectations about the time it takes to optimize campaigns. Every company and campaign will be different, but allowing for 6 months to a year of Google Ad spending should be enough time for you to begin to see results and decide if Google Ads should be included in your marketing mix going forward. Search engine optimization or third party SEO services is one of the truly long-term investments that you can make in your marketing mix. The tricky part of nailing a timeline down on SEO is how you measure success. A website redesign could be a huge SEO success, for example, depending on your website redesign SEO strategy. 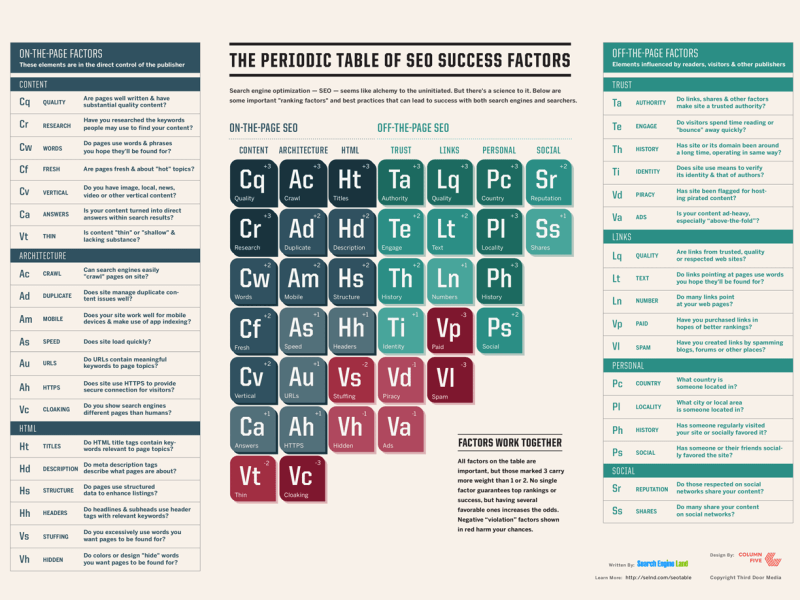 Search Engine Land has a great graphic for download that covers the factors for SEO success in all their complex glory. The fact is that a website that was last redesigned in 1992, has seven pages of content, and no backlinks is in a wholly different situation than a site that was last redesigned in 2015 and has hundreds of pages and backlinks. Furthermore, who you compete with online and how serious they are about SEO is a giant factor in what kind of success you will see and within what timeline. You should expect to invest in SEO for a minimum of 6 months before seeing any real results, and in some cases years before it begins to really pay off. Once you are successful in your SEO efforts, however, the results can have a dramatic long-term impact on your business and bottom line. Like SEO, content and inbound marketing can also be boiled down to an ongoing investment in improving your website and digital marketing efforts. Whether you are doing this by creating great content for your target audience to consume, or by creating landing pages and calls-to-action that are designed to turn visitors into customers, it takes the time to gather the data and make the adjustments needed to refine your efforts. Now, keep in mind that “results” could mean more sales, more website traffic, or any number of KPIs or key performance indicators for marketing departments. The important thing is that after a year of focusing on inbound marketing you can reasonably expect to see some sort of measurable result. As a business owner, it can be difficult to decide to spend your hard-earned capital on marketing efforts that may not generate new business right away, and it can be even more difficult to stay true to that commitment four months into it. If you can power through those initial months and view your marketing spend as a long-term investment in your business, you can and will set yourself up for future success. 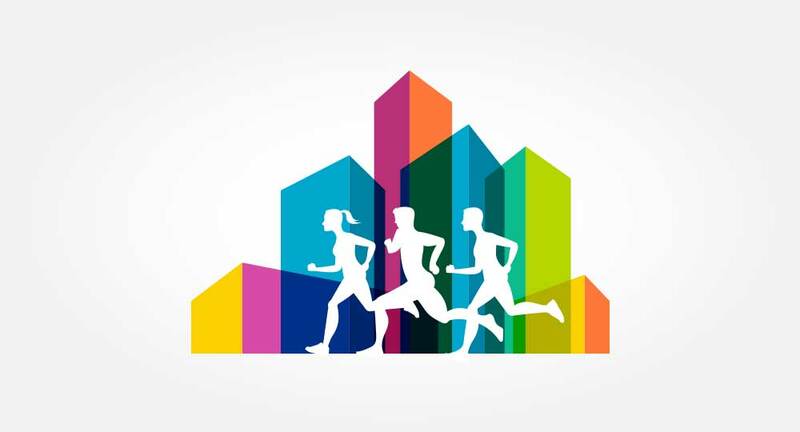 In marketing, the sprinter can see bursts of success, but the marathoner will see the consistent and sustained success that every business owner wants and from which every bottom line thrives. If / When you are unsure of where you are in the marketing race, don’t be afraid to reach out to a marketing agency to get a better picture.